Tangy and slightly sweet with a delicious crunch in every bite, pad Thai is an irresistible takeout staple. But it's simple enough to whip up at home. homeland’s array of flavors and spices, she ultimately studied to become a chef while selling pad Thai as a street vendor on the side. Now, her signature dish continues to delight restaurant patrons. And while pad Thai usually consists of sticky rice noodles, Pongsuwan gives her hearty plate a fresh twist. 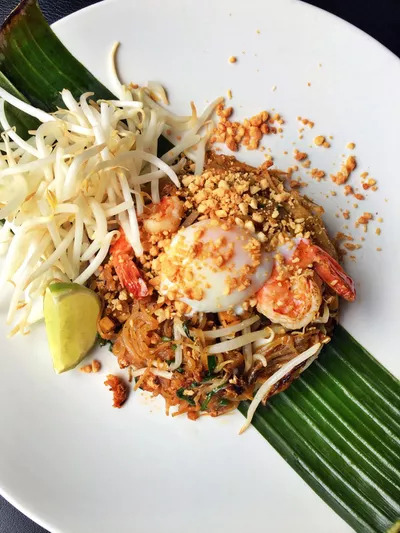 To revamp the classic entrée, Pongsuwan doesn’t use actual noodles, but rather shredded papaya ribbons, inspired by Thailand’s popular salad featuring the fruit. Along with juicy grilled shrimp, a poached egg and plenty of veggies with crushed peanuts, the result is a protein-packed meal. Fortunately for us, Pongsuwan is sharing her simple recipe with FOX News Magazine. This pad Thai is sure to become an instant favorite.